Here is another affordable 4G Android smartphone going out of stock before we could make our mind. Within a budget of Rs 7000 with an eye for a 4G smartphone, one can now just pick up Coolpad Dazen 1 that looks quite lucrative at this moment gazing at the mobile phone galleries. This Chinese manufacturer Coolpad is not that new to the Indian market as we have all seen this white labeled handsets of CDMA telecom operators like Reliance and also the later versions of Android smartphone categories like the brand Spice, which have been supplied by the Coolpad . However, in the market of smartphones, Coolpad has launched its first 4G Android smartphone in India which has created a lot of expectations among both the buyers and the sellers in making a good business out of it. But before you get one for yourself, its always a better option to get to know about the pros and cons of this newly launched Coolpad Dazen 1 whether its competitors hold still more water than this latest model from Coolpad. A mere list of Features doesn't always bring out the reality at a glance. But a little sorting out may help in seeing through the product with a comparison that goes on in our mind while we are just about to make a purchase. You get a 5 inch HD Display Screen with a resolution of 1280 x 720 pixels. The 5 inch size has become the standard screen size for smartphones in general. Coolpad Dazen 1 runs on a 1.2GHz 64 Bit Quad Core Qualcomm Snapdragon 410 processor giving you that feeling of power without any compromise. You get a straight 2GB RAM that accelerates the demand criteria. Adjusted within a budget price of Rs 6999, and as an Android smartphone, a blind 2GB RAM makes it stand within a selected few. While upgrading our smartphone, what comes next to our mind is the camera. 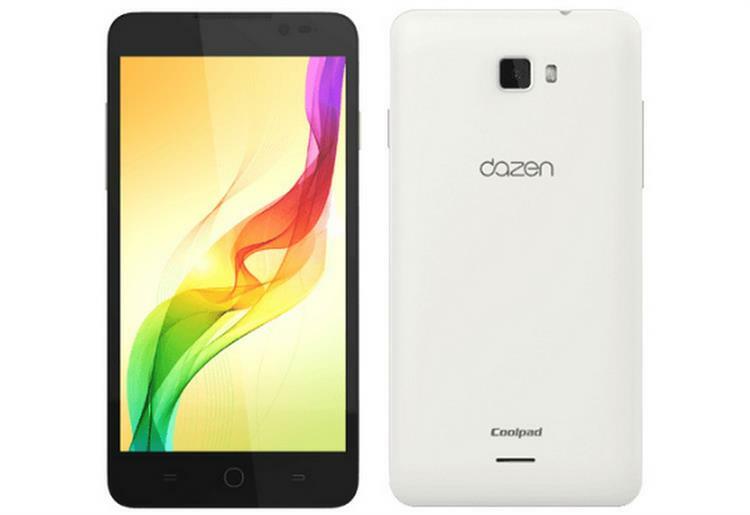 And Coolpad Dazen 1 gives you a rear facing camera of 8 megapixel along with a LED flash. The front camera is of 5 megapixel with a 22mm wide angle lens that increases the quality of selfies quite a bit more. While you get normally a 2000 mAh battery in this price range, Coolpad has enhanced it into a 2500 mAh Battery that minimizes the chance of elimination when a choice is made. It is a dual sim phone supporting 3G, 4G LTE, Bluetooth 4.0 and GPS and both Indian 4G bands. Where Coolpad has compromised due to its competitive rate is the Internal Memory which is only 8GB in its Dazen 1. While most people are looking for a minimum 16GB internal storage, such a reduction in the internal memory may chase out many buyers. Dazen 1 comes with an 8GB storage which can be expanded up to 32GB via a microSD card. Though the Dazen 1 provides an option of Android 5.0 update, still it may disappoint you for coming out of the box with an Android 4.4 KitKat operating system. Though coming with a 5 inch display screen, it has no Gorilla Glass protection. Many other smartphones do give that at the the same price range. When it comes to win the market of smartphones, things play a different role in winning the buyers' hearts. Especially when you have options like Lenovo, Gionee, Xiaomi, Vivo and other recently known Chinese brands like Phicomm, and Meizu. Coolpad Dazen 1 won't have a very easy route ahead. 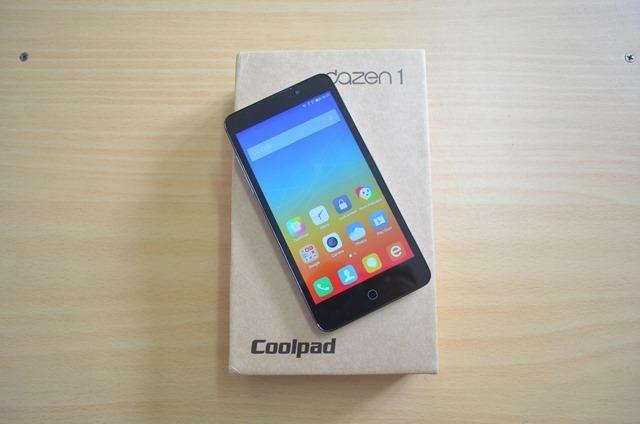 Though Coolpad Dazen 1 has made a smart attempt of standing as a better alternative to Xiaomi Redmi 2 and Lenovo A6000, a time-tested feedback of these phones may rule out the possibility of experimenting with this new one, which really lacks few important features. The utilitarian design, the front panel of Dazen 1 goes very similar with Huawei Honor 4X. Below the display, you'll find the three touch buttons for navigation. A slight curvature on the edges with rounded corners give it smart and protective look while the white colored back cover covers up the shell with a matte finish appearance. Running on Android 4.4 KitKat it has a customized skin called Cool UI. This Cool UI is very commonly used on other Chinese phones that doesn't really include any separate app drawer. But it was a smooth experience and no lag was so far noticed while we were navigating through the UI, to check out the features of the phone. Finally in my opinion, Coolpad Dazen 1 comes with a slightly superior features compared to the Xiaomi Redmi 2 for its RAM and stands better than Lenovo A6000 for the front camera. Coming to its overall user experience, a few experimental purchases and time-tested usage can give the exact feedback. The phone has been stated to have some major concerns as far as the camera is concerned. The review reports have been suggesting that it struggles while focusing. You are expected to get out of focus and blurry images, especially when trying to snap some close - ups. Besides that, I do not see any major plus point in the device other than the 2 GB RAM. In a segment that has already been overcrowded with several newer and better devices, Coolpad may have to tread a tough path with its Dazen 1.